Looking down on Reading town centre stands an imposing 15 storey office block. 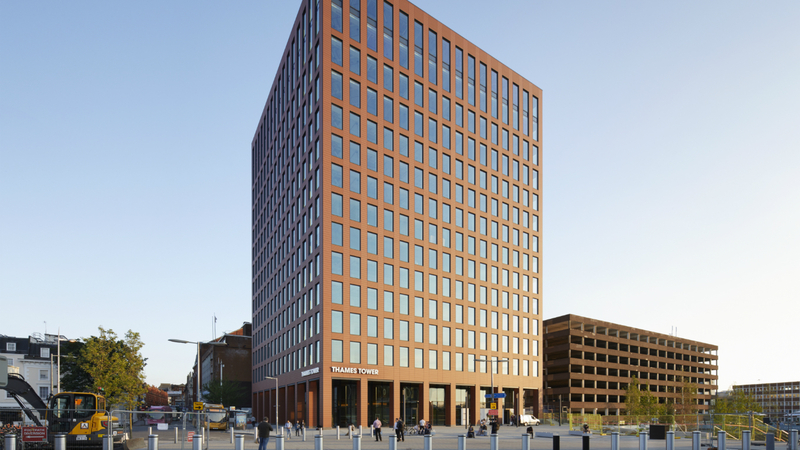 To the casual observer this may look like a solid rectangular office block but architectural aficionados will be struck by the similarities to Louis Sullivan’s iconic Guaranty Building in Buffalo, USA, one of the world’s first tower blocks. The Thames Tower is a 1970s construction that was unloved and neglected for much of its life, standing empty and earmarked for demolition on the early 90s. However, inspired by the similarities in design to the Guaranty building, a team of architects and engineers set about re-imagining the building while adding an additional four storeys to the structure. While the external style alludes to nineteenth century ambition, the interior is an exemplar of 21st century energy sustainability. Ramboll was commissioned to develop a RIBA Stage E design and sustainability strategy for the refurbishment and extension of the 24,160m² office building, providing an Energy Strategy and Sustainability Statement. 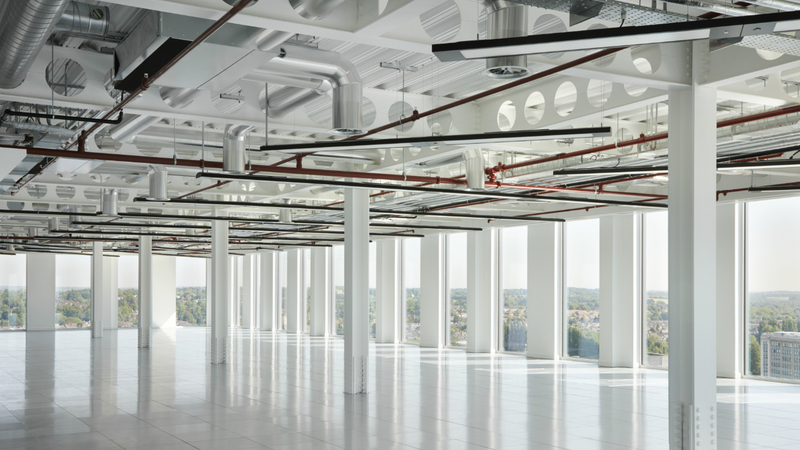 The initial focus of the design centred on making the 15-floor office building sufficiently energy efficient to meet Part L building regulations, requiring a significant reduction in fuel and power consumption, injecting more certainty and predictability into energy consumption and CO2 emissions. Designers targeted an EPC Band B rating, significantly reducing emissions and achieving a ‘Very Good’ BREEAM rating. Challenging in a new build but far more problematic in a 45-year-old office block. As well as reducing energy waste we looked to sustainable heat sources. Using dynamic thermal modelling software IES-VE we evaluated existing and future opportunities to connect the building to a heat network. Based on this work we outlined and appraised options for the use of on-site roof-mounted photovoltaic system (PV array), capable of producing 2,890kWh of low carbon green energy per annum. Other energy efficient measures we recommended included the deployment of low u-value materials, retaining heat within the building. This building insulation approach was complemented by a high efficiency chillers and high efficiency heat recovery system. 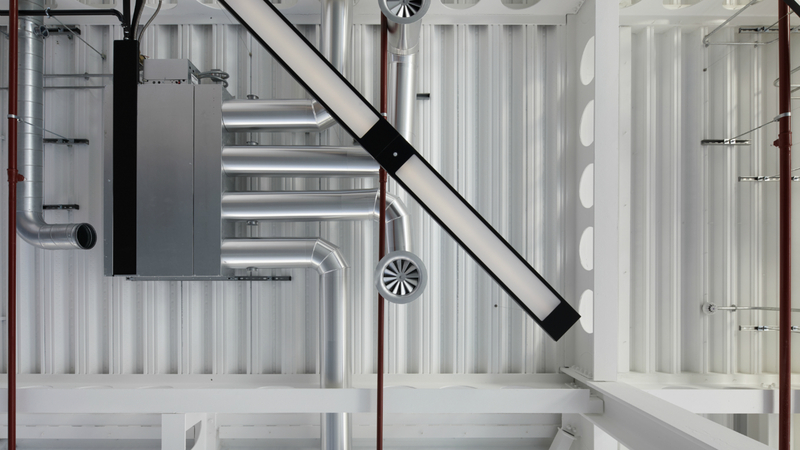 Further energy savings were achieved by use of low energy lighting with occupancy sensing and daylight controls. Maintaining the core of a 1970s structure created challenges. Careful BIM coordination between structure and services to maximise riser opportunities in a severely constricted existing core required an optimised design that minimised alterations to the existing building. Opened in 2017 to critical and commercial acclaim, Thames Tower has been recognised in numerous architectural awards. Those relating to building services are listed below. The new George Davies Centre (formerly the Centre for Medicine) is the UK’s largest Passivhaus building and brings together academics, researchers, clinicians and students who were once spread over multiple university sites across Leicester. The relocation of Ashmount Primary School, Bowler’s Nursery and the renovation of the community CAPE building. 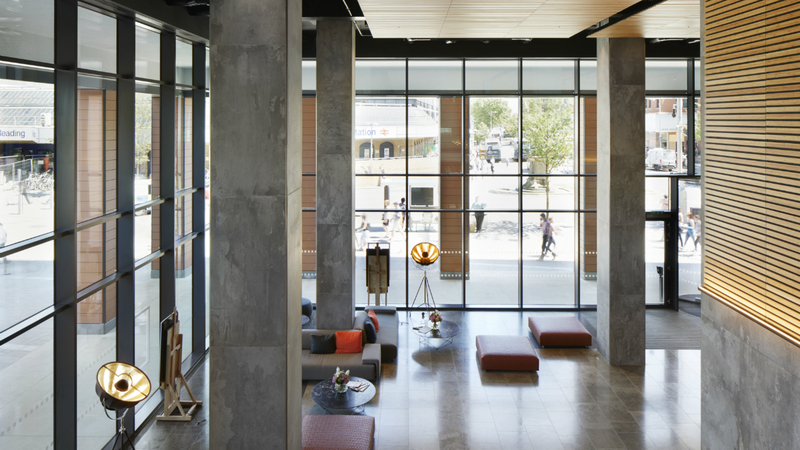 Sustainability, energy and landscaping have all been integral to design development. A multi-unit residential development in Croydon incorporating an iconic 44-storey tower and a new public town square, this highly sustainable urban complex incorporates Ramboll designed building services thoughout.